Lancaster Mennonite School is proud to have 15 students in the 2018 LLMEA Honors Band from the Lancaster, Locust Grove and Kraybill campuses. 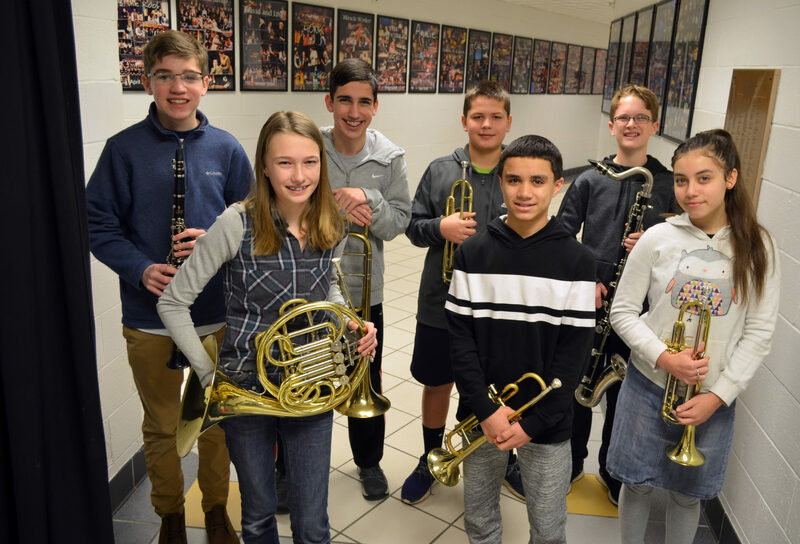 Middle School students in Honors Band were (l-r): Colin Speitel ’22 (clarinet), Emma Wilson ’23 (french horn), Nicholas Rothwine ’22 (trombone), Sean Swartley ’22 (trumpet), Robert Ewing ’22 (trumpet), Owen Horvath ’23 (bass clarinet), Celeste Ortiz ’22 (trumpet). High school participants were: Rebecca Sauder ’20 (flute), Sota Masuda ’19 (trombone), Brendan Horst ’19 (mallet percussion), Anne Mowery ’20 (French horn), Toby Palmer ’20 (French horn), Emily Alderman’20 (clarinet).